EYCF promotes participation in boating, education in the marine trades and environmental awareness through collaborative programming, fundraising and community partnerships. STUDENTS -- What are you doing this summer? There are tons of exhibits and festivals in this area as well as lots of activity on the water. While you're out of school, take some time to get out and look around the area, to explore some careers online, and to start making connections to cool careers. Click here to see what is happening in June! We are so happy to have shared this experience with the 2nd grade boys "I am a Reader" program at Seeds4Success! The boys inspired us to create this opportunity for them following their EYC Jr Sailing camp last summer (with EYCF Scholarships). We kept hearing that they were asking “when are we going back to EYC” and we really wanted to seize on their excitement and interest. Giving kids new experiences and new visions is an important part of all our education programs. We look forward to watching them grow and learn throughout the coming year! From Seeds 4 Success: Our I Am A Reader boys enjoyed a special afternoon at Eastport Yacht Club. Courtesy of Eastport Yacht Club Foundation the boys participated in an interactive STEM lesson learning about the effects of pollution on their environment. Their enthusiasm and engagement is obvious! 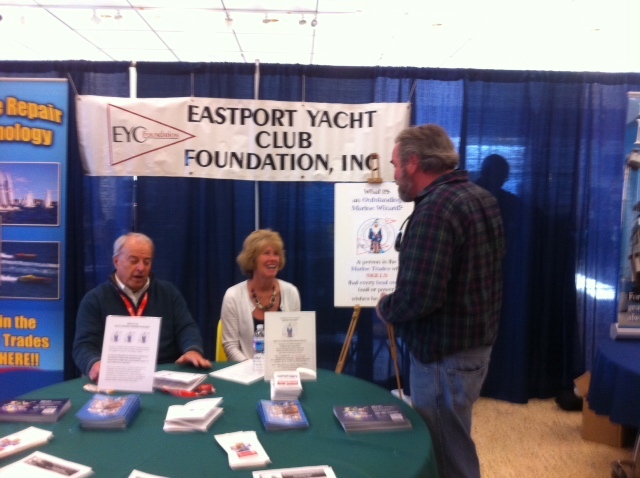 Huge thanks to Eastport Yacht Club Foundation and Eastport Yacht Club for this terrific experience! The Foundation meets every 4th Monday from 6:30 - 8 PM at EYC. Volunteers are always needed and guests are welcome. For more information visit our website eycfoundation.org or contact our Chair, Pam Ray. EXHIBITORS & SPONSORS - Share your knowledge & expertise about marine and maritime careers connected to the Chesapeake Bay, oceans, rivers and lakes. It is a long-term commitment to build and maintain a strong workforce across marine and maritime industries in Maryland and the Chesapeake Bay region. STUDENTS - Students in grades 6-12 from Maryland and the Chesapeake Bay region are all welcome to attend (free). Talk with the men, women and your student peers who will share information on career paths that span apprenticeship, technical training and college degrees. Attend speaker sessions with mentors from a variety of STEM careers and the marine trades. Win fabulous door prizes! Student pre-registration is not required to attend but is required to qualify for Grand door prizes. VOLUNTEERS - Many volunteers are needed to plan, set-up, staff and break down the annual Career Fair in support of our exhibitors and students! Teach kids math, science, environmental literacy and civic responsibility while having fun with sailing & boating! We will host three elementary schools at EYC for our 2016 Program. Teachers/Instructors are needed to carry out this program on May 31st, June 1st and 2nd, 2016. Yes, it's true, -- Donate to the Foundation at no cost to you!!! Amazon.com has a charitable program where, when you make a purchase, Amazon will donate 0.5% of your purchase price to the Foundation. You get the same products at the same prices and Amazon donates money to the Foundation!!!. Could we make it any easier for you to support your Foundation - we don't see how (but tell us and we'll be happy to help you part ways with your money). Go to www.smile.amazon.com and log in like you would for your regular amazon purchases. Bookmark this page since this is where you will log into amazon for future purchases. Log in using your standard amazon log-in information. For your first log-in you will be asked to select a charity - type in Eastport Yacht Club Foundation and select "select" when prompted. YOU ARE DONE!!! Now shop away. All of your regular account settings are automatically incorporated into your smile.amazon account - in fact, you will even see your regular amazon screen. It really is this easy - we even tested these instructions for you. Help your Foundation raise money for its (and your) many wonderful Programs at no cost to you. You can also log into the Amazon Smile web-site by clicking the "Smile.Amazon.com"
Are you in middle or high school? Are you interested in working in or around boats? Did you answer yes to either of these questions? If so, you should come to the 5fth Annual Marine and Maritime Career Fair Saturday, February 28 from noon to 3 p.m. at Annapolis High School. 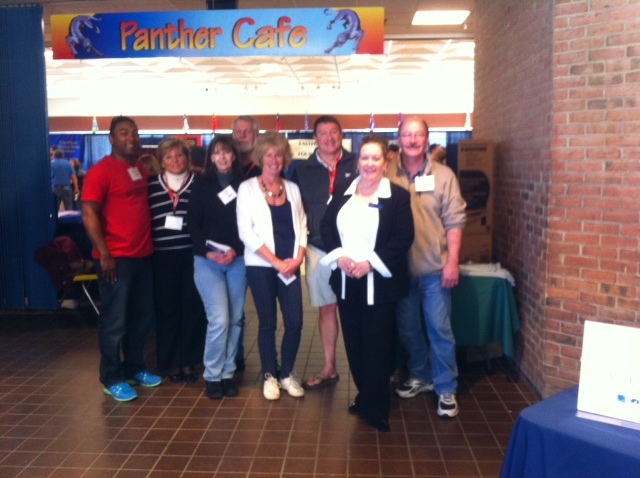 Last year, more than 200 students came to learn about career opportunities related to boating. “Providing students with knowledge, awareness, and resources to meet those goals is the purpose of the career fair,” says Pam Ray, co-chair of the Marine and Maritime Career Fair. This is an opportunity for students to meet and talk to people who work in a variety of the fields related to boating. The fair is a great time to explore all the different fields and to decide what interests you the most. To keep track of what you learn, you should bring a pen or pencil, something to write on, and a bag or backpack for carrying all the fun swag, freebies, and cool information from exhibitors. This year, seminars cover topics such as “Marine Trades in the Chesapeake Bay Region” and “STEM Careers in the Marine and Maritime Industry.” There are also peer to peer sessions where you can talk to other students who went through the same process you are going through. Sailing coaches and school owners, boat builders and service experts, marine craftsmen, STEM professionals, environmental scientists, technical training programs, two- to four-year colleges, publication and media (such as SpinSheet and PropTalk staff, local, state, and federal government agencies as well as military personnel will all be there to talk to you. If you don’t know exactly what you want to do, that’s okay. Exhibitors from fields, such as boat building, rigging, engineering, plumbing, sailmaking, equipment and supplies, Bay conservation, environmental policy, product design, and even oceanography will be there for you to explore. 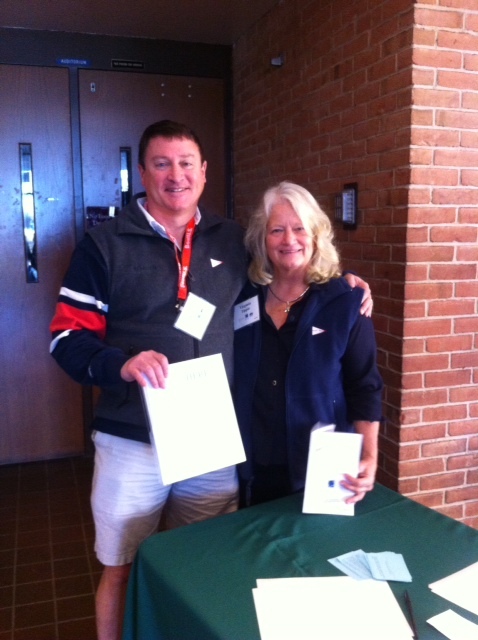 We would also like to thank Virginia Tippie and Nathan Hesse of Eastport Yacht Club, along with all of the members of the Green Team who have dedicated many hours to ensure this event meets all 19 of the Clean Regattas Best Practices! Scandia Marine Services provided the regatta with oil spill clean up kits, just in case of an emergency, for all the race committee boats and any other power boats being used for the event. While these items will hopefully never be needed, they are a crucial element in being prepared for a worst-case scenario, and help regatta organizers meet Clean Regattas Best Practice #9. Check out the Sailors for the Sea posting about the J80 Worlds "Clean Regatta"